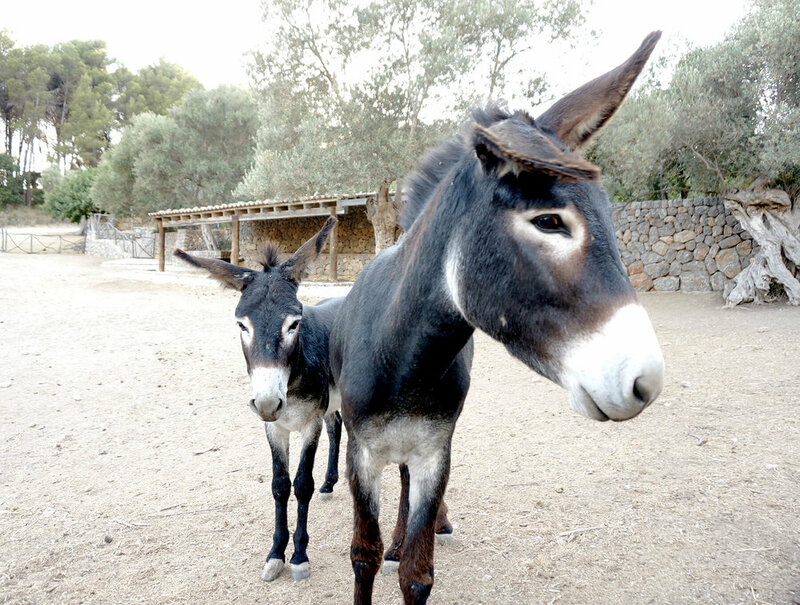 On a finca called Son Moragues, running along the hillsides of Tramuntana, and above the charming village of Valldemossa, farming practices are executed with extreme care and absolute respect for the land. 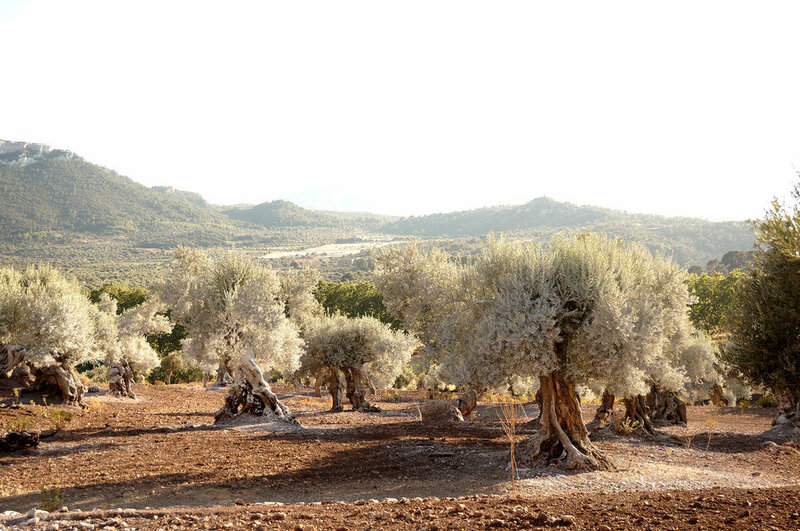 Old olive trees share the land with sheep who keep the trees trimmed, and also serve as an important part of nature's cycle - the kind of process that's just 'allowed' to happen on this beautiful estate. On the day I visit the grounds of Son Moragues, the doors to this intimate operation are opened for me under a baking afternoon sun. 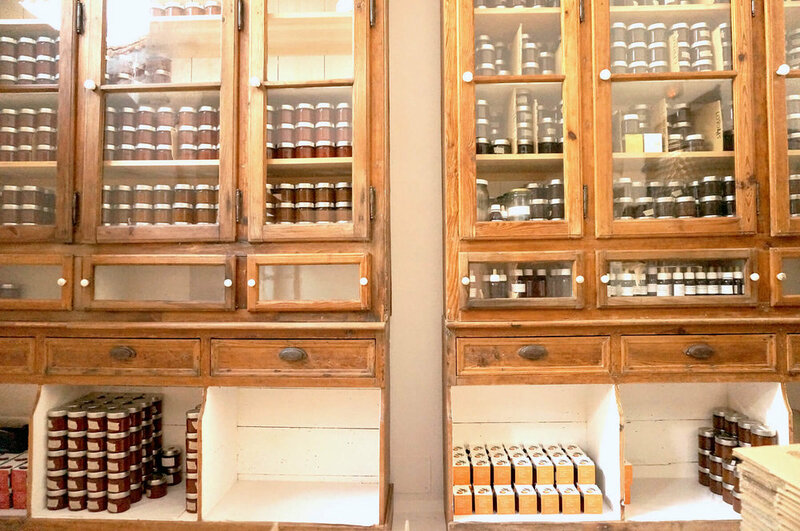 Golden light floods the space, and reveals the most delicious-looking Extra Virgin Olive Oil, Mediterranean jams and jars of cured olives, all stacked in wooden cabinets that seem to belong to another era. 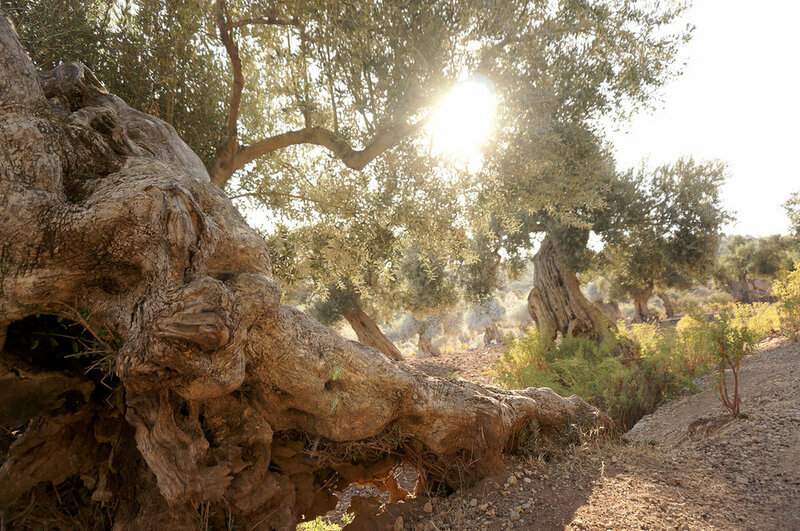 Deborah Piña welcomes me, and we later stroll through the olive tree grove, chasing the rays in between the branches that are looking particularly silver-hued today. She tells me that they are heavily sprinkled with clay to avoid certain bugs that can affect the precious crop. 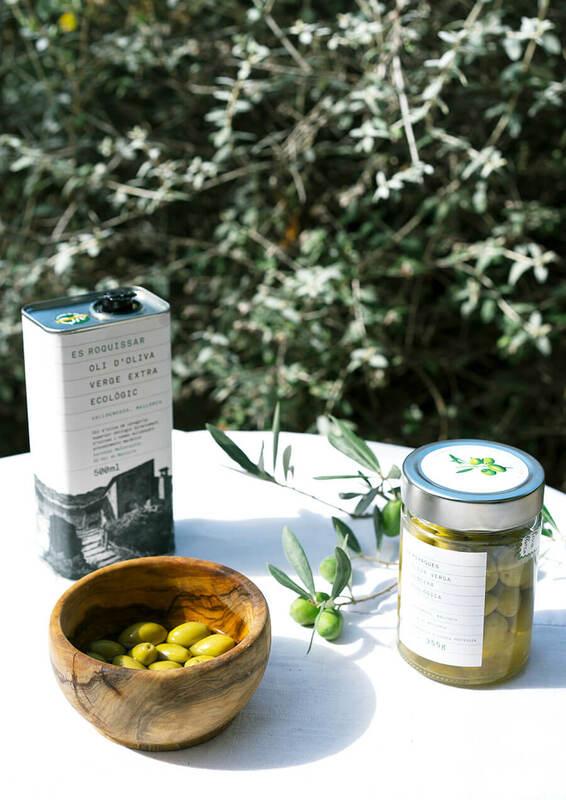 Son Moragues specializes in producing organic extra virgin olive oil, and the estate slowly produces two kinds of this fine golden liquid. 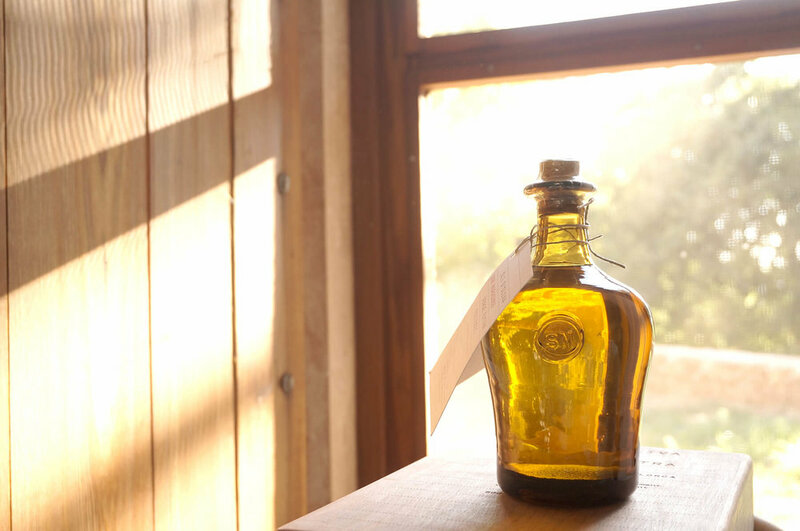 One is made from the early harvest extracted from the oldest and largest trees in the finca, and is decanted into unique bottles created by the Gordiola Family, the oldest glass makers in Mallorca. 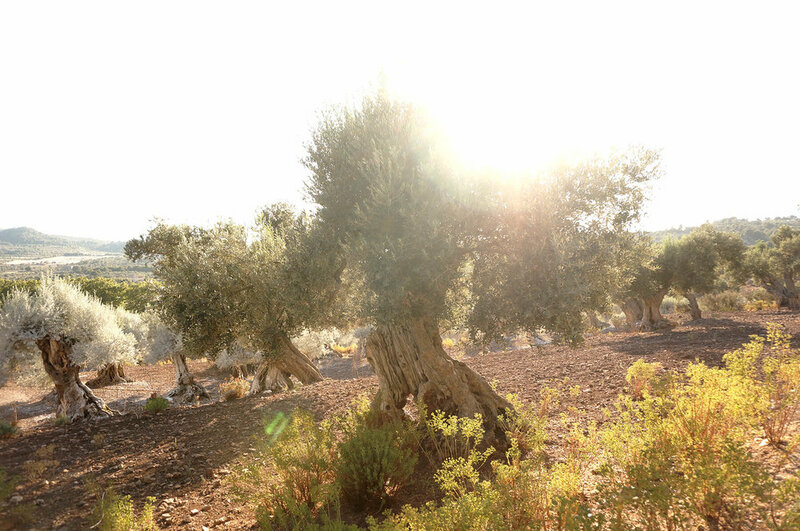 The other oil is from the trees that grow on higher ground, and which are conditioned to survive the tougher conditions. All of the Son Moragues products seem to represent to its customers imagery of far away places, and practices of days long gone by. 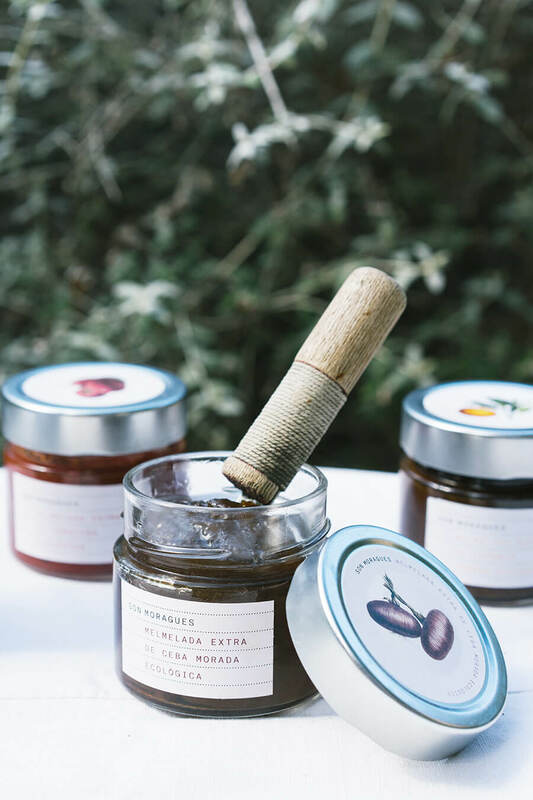 These ideas surely arise as a result of the products' alluring packaging, the surrounding design philosophy and the unique flavors which the creators develop. But perhaps it's also to do with the painstaking care and time that it takes the team to produce these exquisite foods.